Once a generation, the unique Vintners’ Festival pays tribute to the wine traditions and the work of Vaudois winegrowers and vineyard hands. The festival is organised by the “Confrérie des Vignerons with the help of thousands of volunteers. 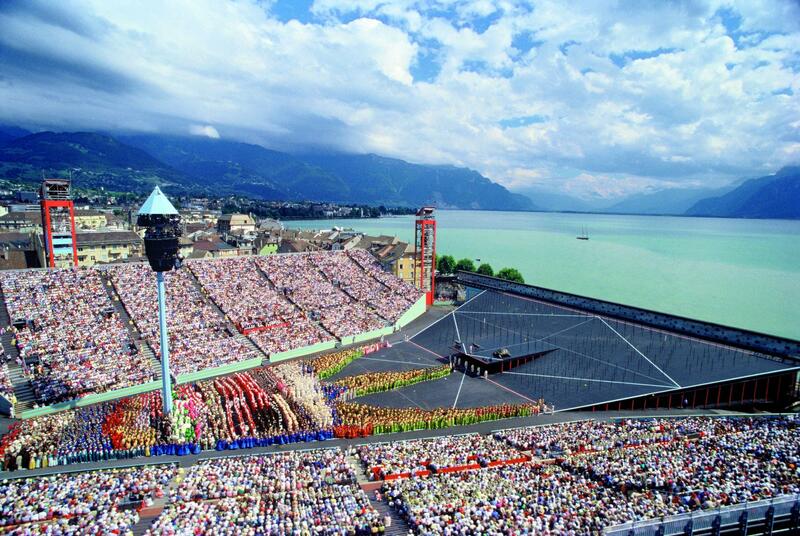 Thanks to this commitment, the festival has been Switzerland’s first living tradition to be recognised by UNESCO. More than 1,200 singers and musicians as well as 5,500 extras in costumes will perform on an ephemeral stage that was purpose-built on Vevey’s Place du Marché next to Lake Geneva. There will be twenty performances to an audience of 20,000 spectators each. Vevey and its Vintners’ Festival are the ideal departing point for not-to-miss excursions to Lake Geneva, the surrounding mountains and some of the cultural and gastronomic sites in the canton of Vaud. The terraced vineyards of Lavaux, which have been part of the UNESCO World Heritage Programme since 2007, are an excellent first destination for anyone wishing to discover Vaudois art de vivre. Gastronomy, wine tourism, nature and wellness are all part of the Vaudois tourist offer. In 2016, The New York Times shortlisted the canton of Vaud as one of the world’s most beautiful destinations. This year, it has again recognised its quality, diversity and authentic tourism offer by including Vevey and its unique Vintners’ Festival in the 52 must-visit destinations in 2019. The National Geographic and The Guardian have made the same recommendation. Its splendour, pleasant climate and famous guests have given the region of Montreux-Vevey the title of Swiss Riviera. Beyond its dream landscape, it offers many more attractions! Purchase and book our exclusive winetourism offers and discover the art of living in the canton of Vaud!